Located at the bottom of the enclosure and on the edge of the field and close to all amenities, made for lovers of nature and calm, this furnished apartment offers a spacious living room of 30 m² with open kitchen, 2 bedrooms of 9 and 12 m² and bathroom. An outdoor parking space and a private entrance. Door phone and alarm. Possibility of short term lease. ALL CHARGES INCLUDED. NO DOMICILIATION POSSIBLE. Charming apartment with garden and garage. Ground floor of 84 sqm consisting of an entrance hall Travertine, cloakroom, living room of 30 sqm (floor), toilet, 2 bedrooms (15 and 11 sqm ), bathroom, kitchen, garden Southwest 1 , 38 ares. Common charges 200 euros with the heater. Beautiful recent apartment in the center of Waterloo (120 m²). In a quiet street on the second floor, apartment 2 BEDROOMS, bathroom, shower, toilet, full equipped kitchen, livingroom, air conditioning, alarm, south facing terrace, cellar. 100 Euros common utilities. Charming villa completly renovated, located in Lasne and close to all facilities. The villa is as follow: entrance hall, WC, living room of 35 sqm with cassette, full equipped kitchen, verranda, 1 bathroom, 3 bedrooms (12-12-12 sqm ). Oil heating, triple glazing, garden of 6.5 acres, 1 car garage, laundry room. Superb 4 bedroom villa located in a quiet environment. 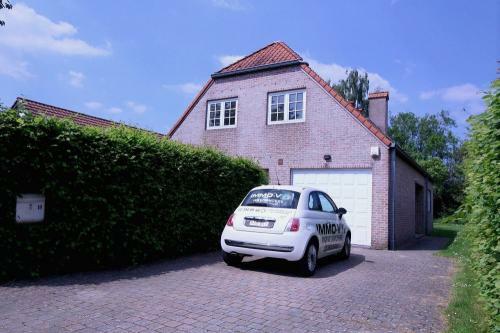 The villa includes an entrance hall, an office (8m²), a cloakroom: cupboard/hand basin with separate toilet, a terrace, a large garden and a garage for 2 cars (38m²). At -1: 2 cellars with laundry room and boiler room. On the first floor: a bedroom and a bathroom. On the second floor: a 27m² bedroom with a private bathroom and 2 bedrooms of 20m² with mezzanines. North of Waterloo, limit Rhode Saint Genèse, large luxury villa. 5 BEDROOMS with Office of Public Prosecutor (23, 22,24,17 and 35m²), 3 rooms of water, big equipped kitchen of 18m ², living of 43m ² Travertine on the soil + open fire, office, double garage of 40m ², big cellars under all the villa, garden, terrace, alarm, street in dead end, shutters on all the windows. Nice classic style villa near Waterloo. Bright living room ± 50 m², open fire cassette, marble. Separate dining room 15 m², marble. Super equipped white kitchen with breakfast nook. 5 BEDROOMS, parquet floor. 2 bathrooms. 1 shower room. 2 car garage. Caves. 1 playroom ± 50 m². Partly covered terrace with barbecue. Ground ± 15 ares. 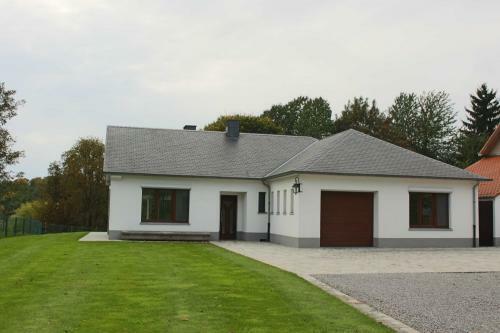 Large farmhouse style villa with lovely countryside views 73 m² living room - fireplace - tiled floor. Separate dining room 27 m² - tiled floor. Office or family room 22 m² - tiled floor. Large white kitchen equipped + breakfast corner. 4 BEDROOMS (30-23-17-15 m²). 2 bathrooms + shower and 2 shower rooms. Garage 4 cars. Wine cellar. Large terrace. Ground of ± 13 ares. 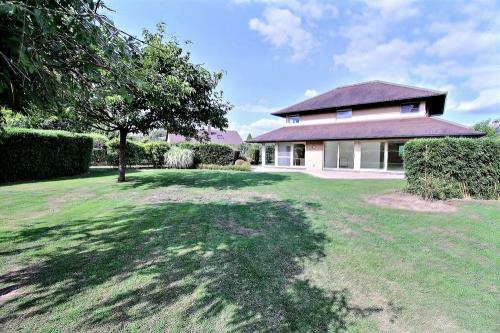 Large farmhouse-style villa in quiet session on extensive grounds. 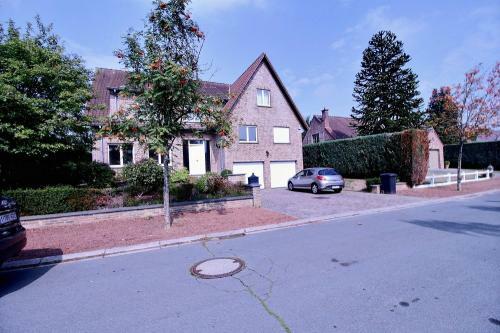 Living room ± 40 m², large open fire, dining room of ± 40 m² in elevation, office room 12 m², White NEW fully equipped kitchen, 4 bedrooms (parquet) with bathroom or shower room, 4 car garage , basement, attic, terrace, garden 70 acres woodland.